On Wednesday August 1st, Yorkshire Day, Orgreave Truth and Justice Campaign reiterates our call for justice! Please Contact the home secretary Sajid Javid details below and let him know we won’t be silenced! Please use these images on social media or download and print them as posters for your work notice board. Please use hashtags #OrgreaveJustice and #Yorkshireday in your social media postings. 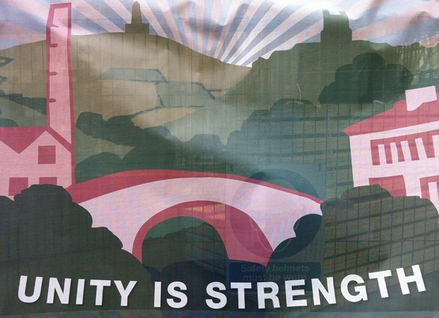 The May Day 2018 programme is at http://calderdalemayday.org.uk. 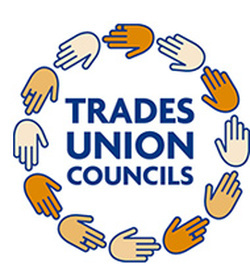 Calderdale Trades Council will be lobbying councillors outside Halifax Town Hall, Crossley Street, HX1 1UJ from 4.45 to 6.00pm and then joining the meeting as observers. Bring your Trade Union and organisation banners to protest against the cuts that have been forced on the council through eight years of austerity. Funding from central government has been reduced from £137.7 million in 2010/11 to £65.8 million in 2018/19. This is a gap of £71.9 million next year alone. Austerity is biting and biting hard. Calderdale has been cut to the bone. Reductions in central government funding over the last eight years has taken £375.1 million away from our council and the local economy since 2010. Under Government plans, this will rise to £527.3 million by 2021 – more than half a billion pounds or £2,530 for every adult and child in the borough. The budget proposals contains significant cuts and changes to services but these are not local choices – they are forced on local councillors by central government. No wonder John McDonnell, the Shadow Chancellor, has described local councillors as ‘human shields’ for central government’s austerity policies. These cuts, in addition to all the cuts imposed from previous years, will result in further significant damage to schools and a whole range of vital local services and support, further reducing the quality of life for the vast majority of people in Calderdale, especially the most vulnerable. Come and join our protest to voice your concerns at this unfair budget, forced on the people of Calderdale by Central Government and call for an end to the cruel and damaging effects of the Government’s austerity programme.